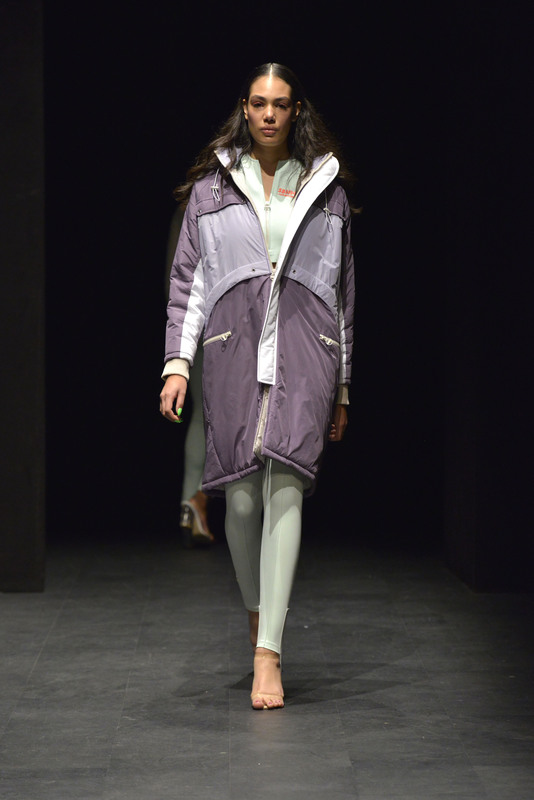 In the fashion show of Mercedes-Benz Fashion Week Istanbul Sebnem Gunay, was inspired by her childhood, her family, her friends and Jane Fonda '' FOR BETTER MEMORIES'' Collections. In this collection we are into deep memories and feelings. Looking imperfect details which in some way makes a thing perfect. The goal is to be more down to the earth in today’s world. Everything goes in cycles, aesthetics included. You see people get inspired and do their own twist on new or old things. No matter what decade your style comes. At the end of the day, it’s about getting out your expression in any form. Now we are in a kind of mix reality world, artificial and real life, physical appearance and online appearance, which is actually not a real aesthetics anymore. Changing appearance is easy in every way, style, color, forms, but feelings are still the same. Do you remember the first meeting and what you feel? This collection is about the street, dance floor, gym, a happy Sunday or a first date. No matter how you look, it is more about to be more yourself. Sebnem Gunay, who expresses her style in a perfect way and inspires others in her collections, is accompanied by soft tones with light tones, consisting of 21 women and 3 men look Fall-Winter 2019-20 designs. After she discovered she had drawing and designer skills she managed to win the Best Design Award during the competition ‘Who’s Next Fair’ in Paris. During her final graduation project in her second year, she had been chosen to open the ‘NewGen’ runway during Istanbul Fashion Week. She launched her first mini women’s wear collection ‘The Universalist SS16’. To perfect her skills and knowledge she started studying Fashion Design and Management that she followed during evenings and weekends combined with Pattern and Model Development in Fashion Design during the day. Her studies motivated her to launch her own brand ‘SEBNEMGUNAY’. Her collection was loved in the Fashion Industry as shown in different high-end Fashion Magazines. She also had the honor to be chosen as one of the students to design an Haute Couture gown for Dice Kayek. After a period of four, hardworking months, she got to show her work during the ‘IZler’ exhibition. But the work doesn’t stop! For the second year in a row, Sebnem Günay was chosen again for the runway show during Istanbul Fashion Week, to present ‘The Who SS17’ collection. With this collection she finished her studies in Fashion Design and Management Postgraduate Diploma Program and Pattern and Model Development in Fashion Design.